WASHINGTON (Sputnik) - US Secretary of Defense James Mattis says investigators are looking into reports that the Syrian government used sarin gas in recent chemical attacks, but there is no evidence of the gas usage so far, US media reported on Friday. "We do not have evidence," Mattis told reporters according to Politico. Mattis added it appears chlorine was used in the attacks, but "we are even more concerned about the possibility of sarin use." The US defense chief stressed that it would be a mistake for the Syrian government to launch any more chemical attacks on civilians. On Thursday, the State Department said the United States was working with its partners on the ground in Syrian to investigate the reports of recent chemical weapons use in East Ghouta, Syria. Media reports earlier this week suggested that the Trump administration believes Damascus is developing new chemical weapons. The Pentagon's statement comes amid the disputes around the report presented by the Organization for the Prohibition of Chemical Weapons (OPCW) and by the OPCW-United Nations Joint Investigative Mechanism (JIM). 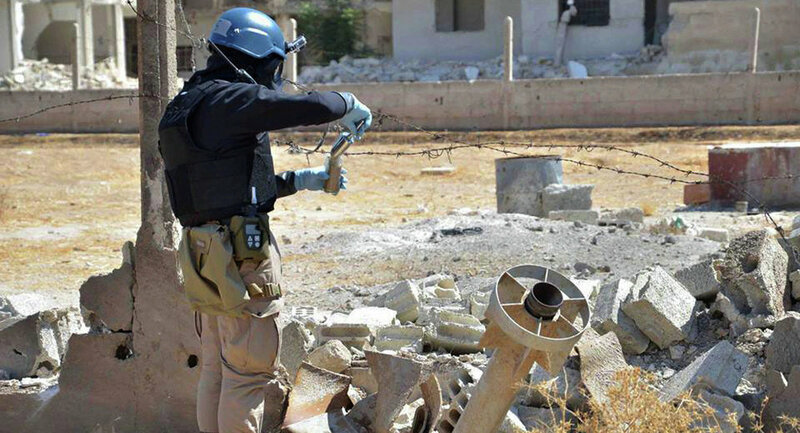 The analysis calls Syrian President Bashar Assad is responsible for the use of sarin in the Khan Sheikhoun incident, while the Daesh terrorist organization is responsible for the use of sulfur mustard in Umm Hawsh. Syrian authorities have been repeatedly accused of using chemical weapons against civilians in the conflict that began in 2011, but Damascus has denied the allegations.